How do I pick a flooring contractor? 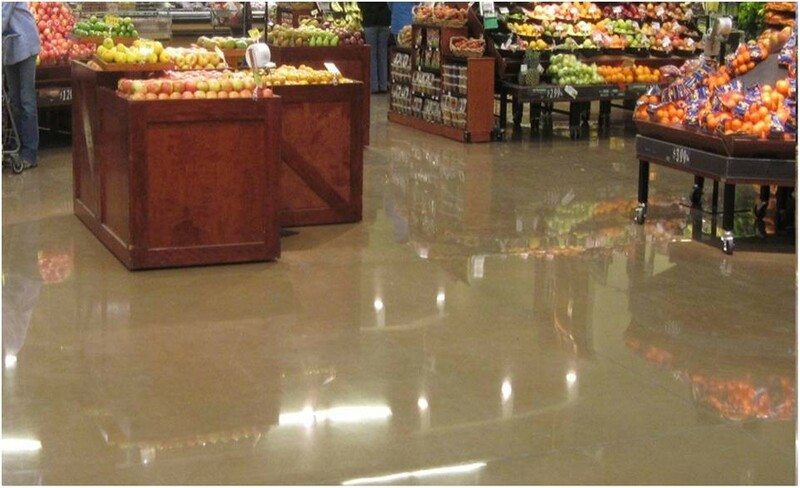 There are numerous variables to consider when selecting a flooring contractor including price, value, experience, capabilities and schedule. One variable that should not be overlooked is safety. If you start your search with safety, you are choosing a contractor that has taken the time and investment to ensure their employees, your employees, your property, other trades and your customers are safe. This added measure is what separates a good contractor who has already built a solid foundation of good people, experience and management from a great one. With few exceptions, the safest contractor is going to provide you with the best value. A truly safe contractor realizes that being safe requires much more than empty promises or a sales pitch. Being safe requires a dedication to doing the job right. Safe contractors provide the highest quality because the commitment to excellence is the same. Safe contractors complete their work on time because they work within a well-defined system that has minimized the opportunities for disruptions to the process. A safe contractor always identifies and attempts to eliminate the risks that exist on all projects. They look back to draw on what has worked (and not worked) while simultaneously looking ahead to see what lies around the next bend to formulate a plan for success. By choosing a safe contractor, you are doing the most you can to ensure that your finished floor will perform to your expectations with minimal surprises and in a timeframe that you require. Now that you understand the importance of safety in picking a good contractor, you probably want to know how to determine if a contractor is safe. There are numerous factors to consider when comparing contractors. Some tell you more than others, but the true view of a contractor’s commitment to safety is seen by looking at the whole picture. Ask your prospective contractor(s) to provide these statistics to you for review. Second, review the company’s safety history and documents that supports the statistics. Start with the safety program itself. Every contractor should be able to provide you with a written copy of their safety program upon request. Next, review the OSHA logs and OSHA citation history to look for trends that indicate a weakness in the company’s safety program. Again three to five years is generally sufficient. You will have to request the OSHA logs from the contractor, but the citation history is publicly available at www.osha.gov. Be sure to ask the contractor if they have any subsidiaries or divisions that are engaged in the same line of work or have changed names or restructured as a new company over the period in question. You should ask a potential contractor if they will be performing the work with their own employees or if they subcontract some or all of the work. It is not uncommon to hire a contractor with a great safety record only to discover they do not actually have any employees on your project. The last thing you want are employees from an unknown contractor performing work on your project. As part of the review of the safety program, determine if the contractor invests in its employees. We all know the value of good people and any company is only as good as the people they employ. A program designed to continually train and invest in those people is the key to long term success. Drug testing, new hire orientation, regularly scheduled training and opportunities for advancement from within create a solid foundation upon which to build a great company. Look for training that focuses on hazard recognition, proactive abatement and demonstrated competency. Refresher training makes sure employees’ skills stay updated and current. Certifications, especially those from third parties, help prove that the training was actually done and that those that attended have shown competency in the subject matter. As a final note, if it wasn’t documented, then it didn’t happen. Ask for sign-in sheets. Most larger contractors will have someone that is in charge of their safety department. Ask the contractor who is responsible for their safety program, what their credentials are, how large the department is and if they have any dedicated safety professionals that are an integral part of the team in the field. You do not need to have all of these people to have a safe company, but the manpower and resources that are directed towards safety will illustrate the extent of the investment and dedication. In our business, polishing concrete is as much about art as it is about science; but choosing a contractor is a straightforward process. Safety is not always cheap, but the return on your investment is incalculable. Take the time to find a safe contractor and get the floor you want, when you want it and how you want it. When determining the difference between value and price, you should always consider what the project could end up costing, not the original estimate amount. Large claims, injuries, fines or missed schedules will dramatically affect the outcome of any job. There are a lot of good contractors out there that are doing the right things to make sure they are in this business for the long haul. Take a little time, ask the right questions and do your homework to choose a contractor that is going to be safe. At the end of the day it should be the number one priority for any contractor and customer.